North Texas Customs turned my 1952 Chevrolet Pickup into the most incredible, beautiful, functional, durable and worthy masterpiece I’ve ever seen, no less owned. I’ve been cruising around for 3 weeks now, and everywhere I go, time slows down and people stop to see my truck. Everyone is in awe, including me, and it’s interesting to hear the stories, but the best story is this custom classic as it is! Sure, people like things their way, or just the way the factory made it when they first got a cruiser ride, but let me tell you, everything I asked North Texas Customs to do, they did, and with nice results. I could go on for hours, but if I see you at a show, I’ll be the one with a Juniper Green 1/2 ton with a huge smile under a Transcendental Texas palm leaf hat. My review about the service North Texas Customs did is everything 5 star’s can tell you. 1st, I had a floorboard and firewall welded in. Right after they did this, I saw a truck with potential, and the build was on. I came by with an L82 vette engine, an automatic, some motor mounts, headers, and a few things any cool classic truck would swallow for an engineering feat! There’s no way to describe what we did 2nd… I mean, they would tell me what works, and I would think about it for a couple of days, then stop by the shop and conclude, well, they’re right. I choose to go with a power steering modification, disc brakes, Lokar shifter, remove the gas tank out of the cab, and to a secure frame behind the rear axle. If there was a 3rd paragraph or phase, it could go here, and that’s one of the most incredible features everyone has been marveling about – the paint and body phase…. woooo hooooo…. man oh man, the paint color came out perfect, there’s not a wrinkle anywhere, which is like looking at a 61 year old truck in a mirror, and wondering if you’re really living in 1952 as if it just rolled off the assembly line. Ok, since I started trying to number procedures, which is imperative, I wanted to mention that we put the coldest a/c under-dash air conditioner in there… media blasted the original wheels… built the wood pickup bed back to spec, with a furniture grade UV resistant gloss oak with stainless bed-strips, for lack of a better description. We found an interior craftsman at Route 66 in Rowlett who does extremely nice upholstery, comfortable to boot! Another trip down the street and back with custom installed Flowmasters…. I told you I couldn’t keep count… somewhere about phase 3, North Texas Customs wired a custom 15-circuit electrical job, and I was impressed (and I’ve been doing my own electrical for about 40 years), plumbing, welding, painting, you name it… But North Texas Customs made it happen for my truck, and I’m very thankful for all the hard work, accurate accounting and detail, and inventory, the insight to economics – relative to the best methods – and the finest result, with a new car smell to boot!!! Beautiful work! 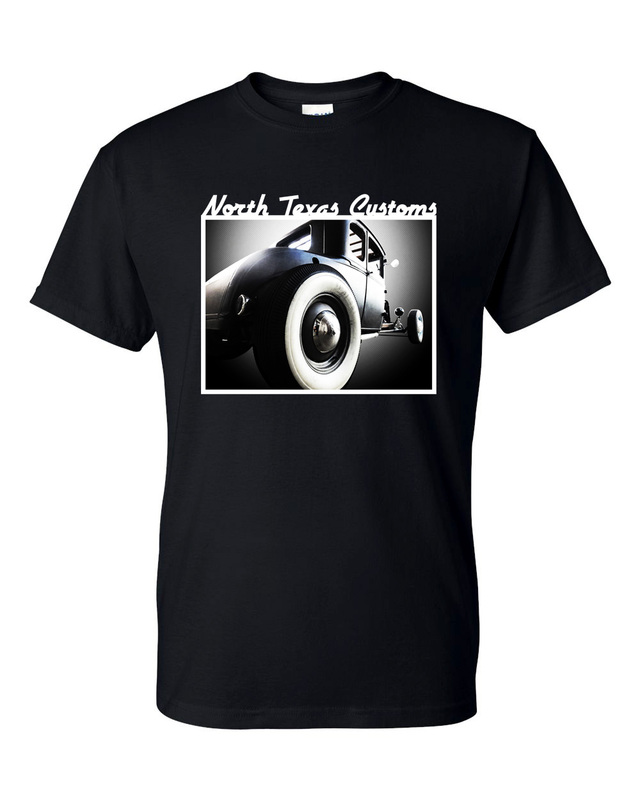 North Texas Customs did a hell of a job on my 52 Chevy Styleline. I knew I was in good hands bringing it to them. A+ work. If anyone in DFW needs some work done, go see Tyler. I can’t thank you and your crew enough.